I have been researching Android Wear devices. 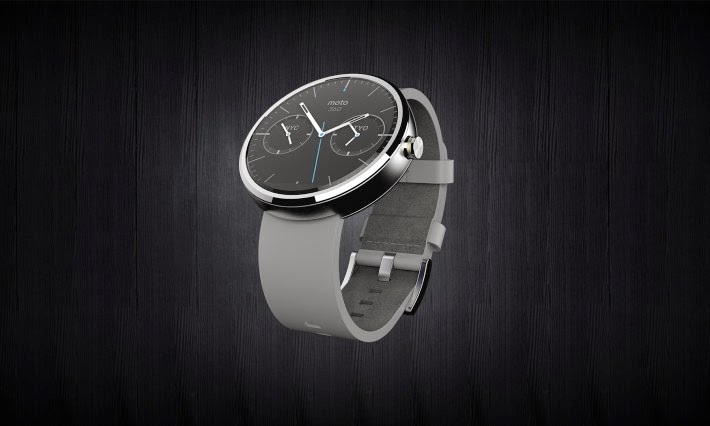 As a tech enthusiast, I can't wait to get my hands on one of the latest smartwatches like the Moto 360, LG G Watch R or the ASUS Zenwatch. On the other hand, I haven't worn a watch in years, and I am worried that that trend will continue. Nonetheless, if, like me, you want to know all there is to know about the devices and systems, read on. While I am not crazy enough to stuff all there is to know about Android Wear into a single article, I would like to take a quick look at some of the difficulties that Android Wear powered smartwatch owners are facing with their devices right now. Just a few minor things to be aware of for when you bite the bullet and dive into the wearable technology. 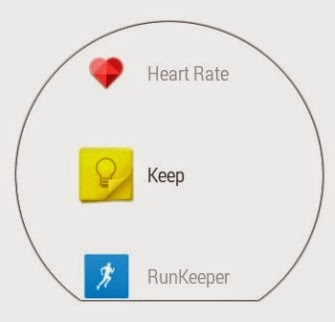 Installing apps is easy enough, just plunk through from the mobile app on our Android phone, then, the next time you connect your Android Wear smartwatch via Bluetooth to your phone, the apps will sync and install. Accessing the apps from there is the problem. On your smartwatch, your list of apps is just a long stacked list, you must swipe and swipe away, the more apps the more swiping until you find your app. This is not the end of the world by any means, nor even a deal breaker for many, but some have complained it a bit of a nuisance. 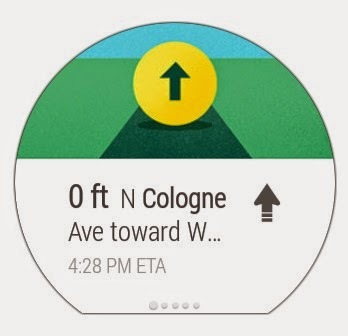 Speaking of those cards, which are the basic building block of the Android Wear interface, many of them are created and controlled by Google Now. While Google Now is a very handy service that can surface some great information in a very intelligent way, it is still rather un-configurable. 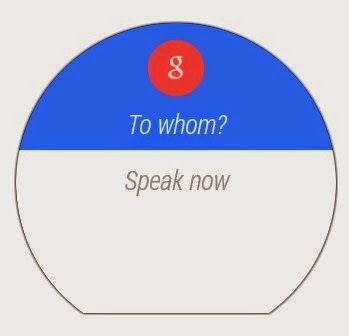 Basically, the complaint I am hearing from users is that Google Now chooses what cards will show on your Android Wear device, and it controls in what order you will see those cards. Weather may be at the top of the stack today, but sports scores could be at the top tomorrow. On the topic of the cards, once you swipe away a card, it is gone for good. No undo button here. This is perfectly fine for your average notification, but every once in a while you will accidentally swipe away the Weather card, for example, resulting in a little face-palm action. Although swiping away a card is a permanent action, many apps will replace the card with a new notification for you, this is true of the Weather card, at least. Google Now on your phone and Chrome browser on your PC will refresh the weather card and regenerate it a couple times per day, this is true for your Android Wear smartwatch as well. In the end, you'll get the Weather card back, but it could take a day to get there, so be careful what you swipe. Full disclaimer, I have not verified the accuracy of this one. Users are reporting that Android Wear is more than capable of interacting with ongoing Google Hangouts conversations, however, you will be unable to start a new conversation with a user. Personally, 99% of my Hangouts are ongoing chats that have not added or removed users in quite some time, so as long as I can continue the conversation, I'll be happy. But your mileage may vary. Once again, I have not confirmed this one, but users are reporting that Google Maps Navigation is offered in driving mode only. In the end, "turn right onto main street" works for me no matter what pace I am traveling, but the routes do change, sometimes drastically, on foot vs on the road. I'll be sure to update you on this one when I learn more. What about the info presented? Well, I suppose it depends on what you are looking for here. Remember that Android Wear was designed to provide the quick glance experience, so, for me, I think the card is dead on. I know where I am and where I need to go next. If I need more info, I should pull over (step aside) and pull out my phone for the full map. Alternatively, I support the argument for more detailed information being available on the smartwatch if you click in to see more, but as a quick glance design, I like it as is. One of the most important aspects to any mobile device is the display. And one of the most important aspects to battery life is controlling that display. Early returns show that most of the Android Wear smartwatches take the majority of display on/off management into their own hands. Sure, user input controls when things are turned on, but the watch usually decides when to turn off. For most users, throughout the average day, it is of little issue (ignoring battery life) what the display is doing, as long as it turns on when you need it. It is at night that this is becoming a problem. Many users, especially myself, use their devices throughout the day and put them on the charger at bed time. "Aww, it thinks it's people!" Anyway, most devices for some reason have opted for a display-on approach to charging. Sure, I was a fan of DayDream on my Android phone for a few minutes. But then I not only turned it off, but also disabled the app on my device. As mentioned, I charge my devices at night. Some of those devices are in the bedroom, so having a big display blaring all night is a tad bit (very) annoying, and it sounds like the Android Wear smartwatches don't mind unnecessarily lighting the night. 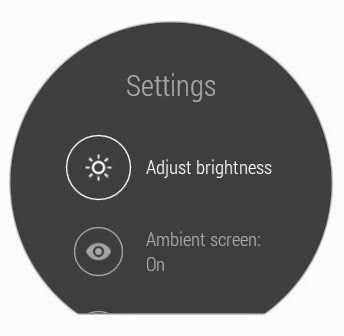 Some attempts to better this can be found in the Power Saver on the Samsung Gear Live, and the LG G Watch has settings to turn your display to always on or always off. However, it sounds like these efforts just are not enough. Did someone say settings? Well of course Android Wear devices have settings, and you can even access and control them from the smartwatch itself, but where are they? I think you guessed it, you know how you have to swipe and swipe to scroll through your installed apps? Well, keep going. Eventually, you'll find settings buried way down at the bottom of the stack. Not a problem if you only have a few apps installed, but heavy users are complaining about the effort needed to get to settings. I guess I can't blame them. There you have it, nothing earth shattering here, nor really any issues that should prevent you from diving into the Android Wear powered smartwatch game, if you're into that sort of thing. Keep in mind that Android Wear is still young and new, I suspect that things will get better with time. On the flip side, Android itself still has a number of features missing that many consider crucial to operation, and that is why there are app developers and customization tools like Tasker out there. 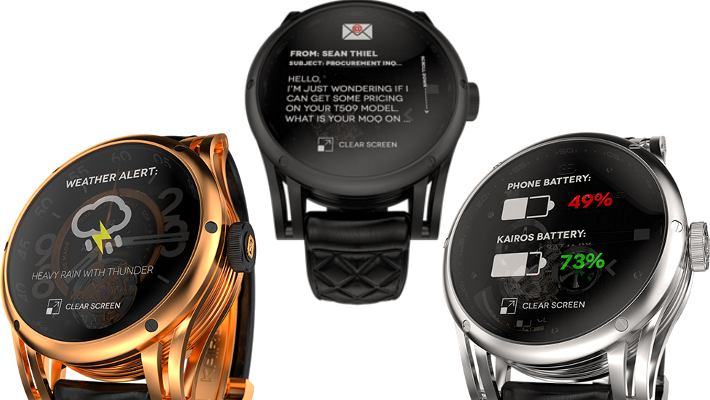 What do you think, is this list of annoyances too long for you to want a smartwatch now?